Vancouver artist Jeremy Shaw (aka March 21) interprets the youth subcultures – rave, skateboard and hiphop/graffiti – that he participates in. 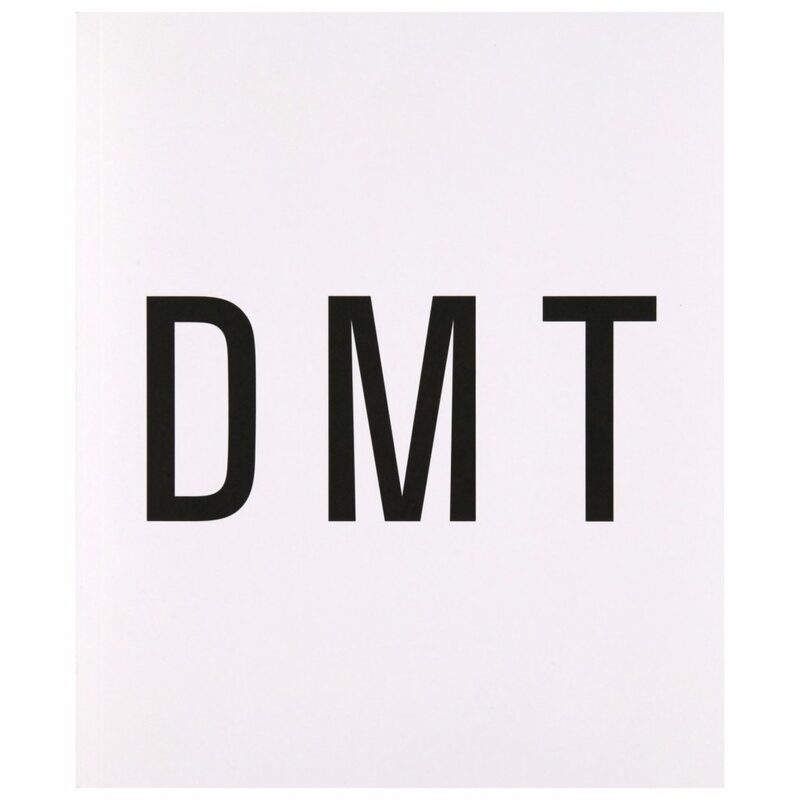 His new video installation, DMT , is an intense octagonal space that highlights the disjunctions of social communication. While watching the subjects high on the hallucinogenic drug, DMT, and reading their attempts to describe the out-of-body experience, we become both seduced and repelled by these hyper-real portraits. A recent graduate of Emily Carr College of Art and Design, Jeremy Shaw (aka March 21) exhibitions include The Theme for Tonight ( Tracey Lawrence Gallery, Vancouver), Video Heroes (Saidye Bronfman Centre for the Arts, Montreal and Cambridge Galleries) and I am a Curator (Chisenhale Gallery, London). He is also an electronic musician and has an extensive discography. A catalogue produced by Presentation House Gallery accompanies the exhibition. It includes a forward by curator, Helga Pakasaar and essays by Clint Burnham, a writer and teacher at Capilano College, and Monika Szewczyk. The artist is represented by Tracey Lawrence Gallery, Vancouver. Generous assistance for this exhibition has been provided by Bob Rennie, Rennie Management, Vancouver. Saturday October 9 , 2 pm | Lecture on the artist's work by Clint Burham, followed by a discussion with Jeremy Shaw. 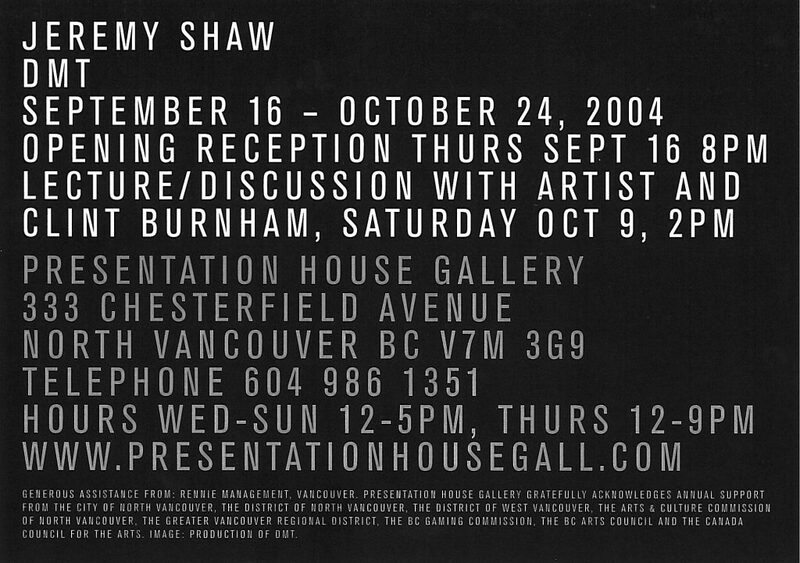 In September 2004, Presentation House Gallery premiered Vancouver artist Jeremy Shaw’s new video installation, DMT. Comprised of eight television monitors in an octagonal space, the piece forces an encounter with people high on the hallucinogen DMT (N,N-Dimethyltryptamine). 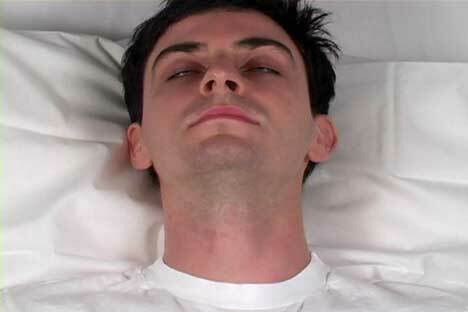 This intense, hyper-real portrait gallery mimics the synthetic properties of the drug itself. 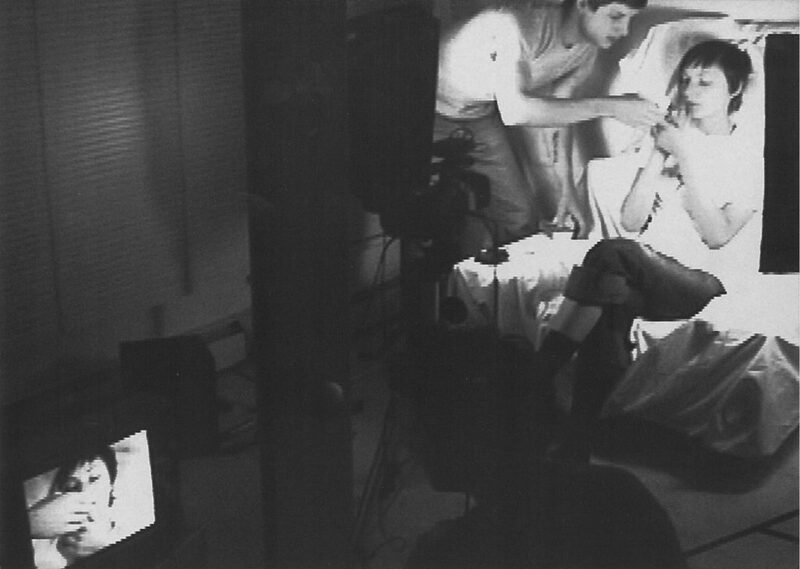 The subjects’ immediate recollection of their out of body experience are described in subtitles. They struggle to communicate, yet are unable to articulate the profound experience. This piece points to the limits of the language and the imagination and the difficulties of social communication. Shaw (aka March 21) produces media-based art works that interpret the youth subcultures of rave, hip hop, graffiti and skateboard. His observations are informed by personal involvements in these social scenes. The accompanying catalogue includes a forward by curator Helga Pakasaar and texts by Clint Burnham and Monika Szewczyk. The publication includes selected exhibitions and a bibliography. Co-published with Projectile Publishing. Catalogue designed by Information Office.